Whether you swim for the health benefits or to be the best, taking a deeper look at post-workout snacks could benefit you tremendously. I’m sure we all know someone who just has to have their protein shake the minute they step out of the pool. If you’re like me, you don’t worry about it that much (and there’s nothing wrong with that). Regardless of my own laziness, it’s still worthwhile to know the advantages of these foods. So when is the best time to drink a protein shake? Some people like to drink it right before their workout to keep their energy up during the exercise. Personally, I like to drink a protein shake right after I finish a swim. Right after your workout is an imperative time for your body to regain nutrients that it has lost during the exercise. Today I wanted to go over some of my favorite types of protein shakes. But are all shakes made equal? Not a chance! I just wanted to give you all a couple of my favorite (and tastiest) types of protein shakes out there to up your workout game. When I started looking at protein powders to use I wanted a powder with no frill just good protein. 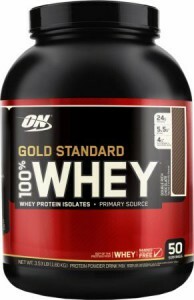 That’s when I found Optimum Nutrition 100% Whey Gold Standard. It comes in delicious strawberry, rich chocolate, vanilla ice cream, and (my personal favorite) cookies & cream. If you look at their website you can find the perfect flavor for you! And the best thing is that you don’t have to break the bank to try it out! We found some on sale for less than $15. This powder is going to give you a great shot of power and keep you going after your workout. Something I love about the wide variety of flavors is that all you need to do is add it to a glass of milk (which already naturally has some protein in it), and you are good to go! Talk about a protein packed snack to boost your workout! 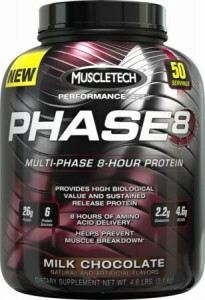 My next favorite brand of protein is Muscletech Phase 8! This powder is designed to give you energy and continue to build muscle hours after your workout! Something awesome about this powder is that it contains only high-quality milk-derived protein sources that are designed to digest at different rates. This is super important because your body can only ingest a certain amount of protein at a time. Plus, if your body doesn’t process one of the types of protein well, there are other types of protein present that will work their magic, so no worries! Also, Phase8 also comes in a variety of different flavors. Our favorite flavors were their White Chocolate and Exclusive Peanut Butter Chocolate flavors. But whatever flavor you choose, you can’t go wrong with Phase8! 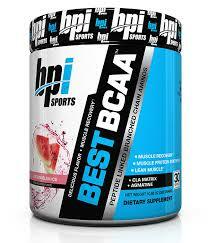 If you’re not a huge chocolate fan, or you’re wanting to mix up your protein flavors, BPI Best BCAA is the protein for you. I know for me, sometimes after a hard workout it’s nice to have a summer flavored drink to prep for your next big swim! Best BCAA comes in awesome flavors like Fruit Punch, Passion Fruit, and Blue Raspberry. But don’t jump to the conclusion that it’s just a container of sugar, this protein has some real power behind it! Their formula is the first to bond the three branched chain amino acids, which may act as a better transport vehicle, allowing for more efficient muscle building. No matter when you take your supplement it is important to make sure that you get the most out of your workout. Find a protein that works for you and then head to the pool. Don’t forget to also take along your waterproof iPod shuffle from Underwater Audio. This player will get you just as pumped as the best shake. So fuel up and rock out on your swim! Until next time, rock the pool and have a blast!! !